How we convert your B2B website visitors into new sales prospects. Want more leads? We have the perfect formula. By creating target personas, writing intoxicating content and capturing leads through gated landing pages, we can help to expand your sales funnel. Longer, targeted content is the foundation of any content marketing strategy. As well as positioning your business as a thought leader, premium content can capture valuable leads. We specialise in long-form content, ranging from a 2,000-word informative white paper, right through to a 10,000-word industry-wide report. We use meticulous research, extended interviews and project management to keep you informed on progress and help us produce fully-sourced, in-depth copy that will drive lead capture. Our premium content is gated by landing pages. Put simply, these are tools we use to convert your website visitors into leads that can then be engaged, nurtured and closed as customers. We build these landing pages in HubSpot - using your brand, website design and domain name - and support them with thank you pages and follow-up emails. To help promote these landing pages, we create attractive and enticing CTAs. Once they’re up in running, we use A/B testing and analytics to maximise your conversions and ensure you’re attracting the right leads. Our team collaborate with you to create impactful pay per click advertising campaigns. Using targeted adverts to promote your premium content across LinkedIn, Google Adwords, Facebook and Twitter, we can help get you reach a wider audience, gather traffic and, ultimately, capture more leads. 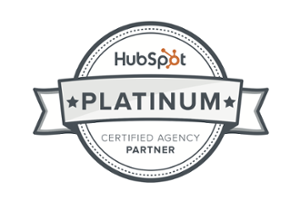 Talk to an Articulate expert about improving the lead capture on your website and putting inbound marketing to work for your business.